I just changed all my de filters this past weekend. I naturally went from low pressure pushing my vacuum to very high pressure. 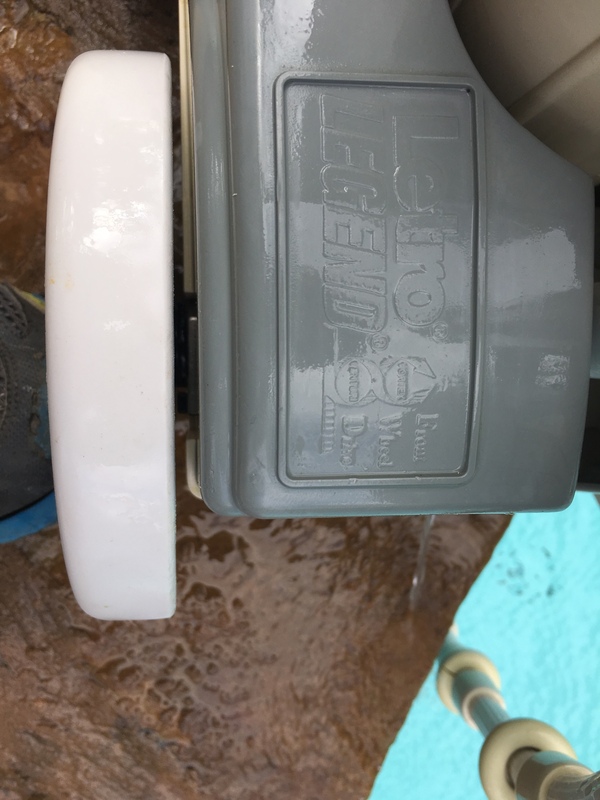 Problem is the pressure in my return line punching my vacuum is so strong that the vacuum doesn't stay in the pool floor to pick up the trash. The back wheels stay on the floor and the front wheels stay off the floor. 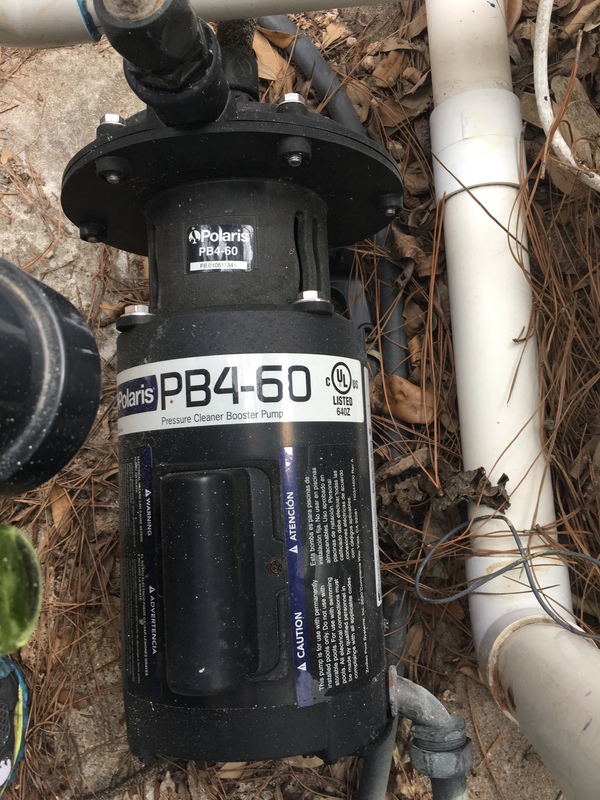 Should adjust the pressure in my pool return? Would that be one of the two valves in the bottom right corner of this picture? 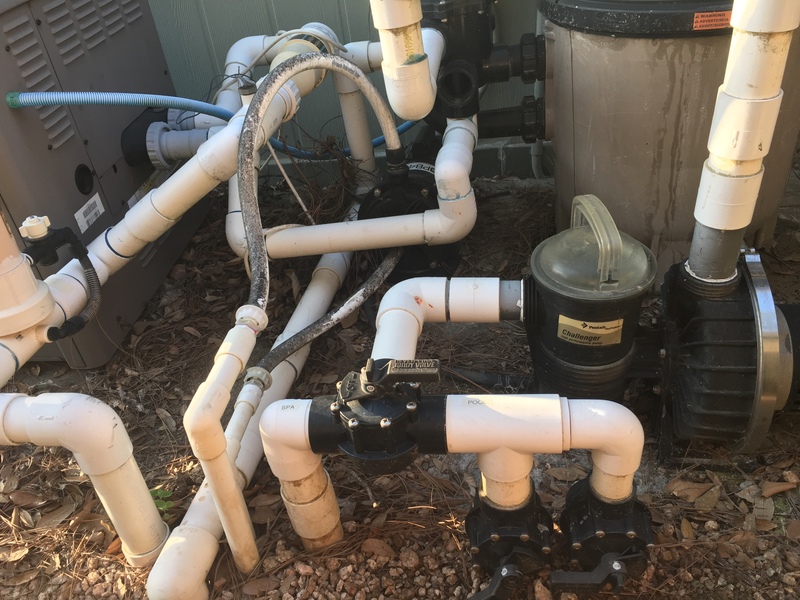 It looks like you have a booster pump for the cleaner so adjusting any valves at the equipment pad will not help. What is the cleaner make/model? How are your connecting the cleaner? Would that be one of the two valves in the bottom right corner of this picture? Those are intakes not related to your cleaner. I don't know that cleaner but I bet you have some pressure adjustments on it. Page 13 shows adjustments that can be made. I just changed all my de filters this past weekend. I naturally went from low pressure pushing my vacuum to very high pressure. 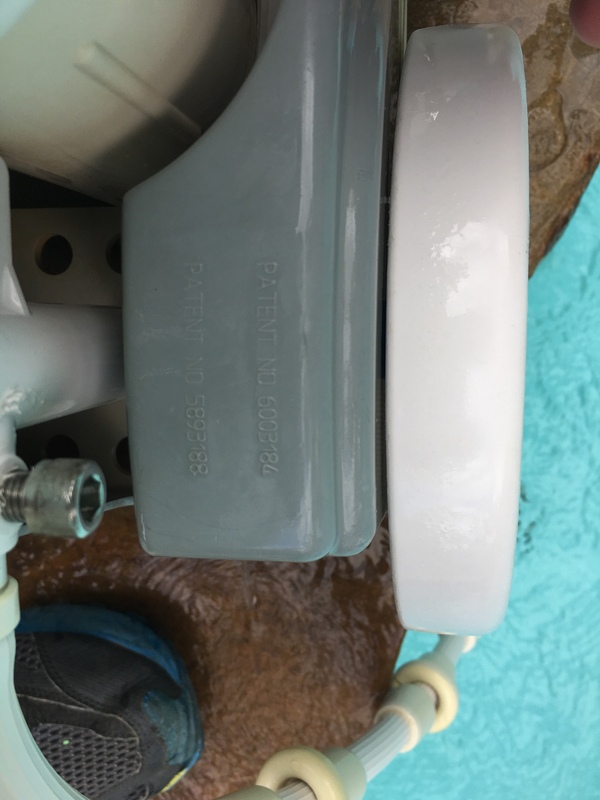 BTW, this should have no affect on the cleaner because it uses a booster pump which determines the flow and pressure to the cleaner.